Wash Cycle Laundry is a triple-bottom-line company serving the mission-critical laundry needs of the businesses and institutions in U.S. cities. 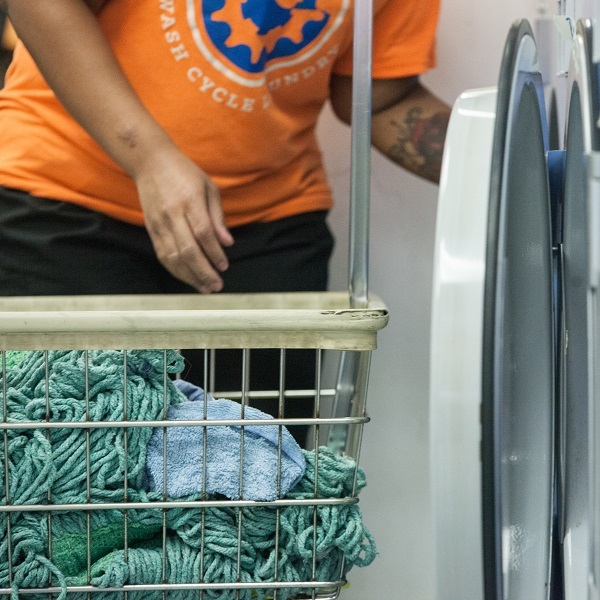 Wash Cycle is using laundry to create a launching pad back into the workforce for adults recovering from histories of chronic unemployment, incarceration, addiction, and other barriers to employment. They accomplish this while also proving that bikes are commercially viable and environmentally-friendly alternatives to trucks for intra-metropolitan freight. Servicing businesses of all sizes from owner-operated hair salons all the way up to large hotels, Wash Cycle is proving that their approach is not only flexible but also highly effective. Wash Cycle Laundry began in a single West Philadelphia laundromat with one bike and trailer in the Fall of 2010. It has since grown to more than a half dozen plants spread across three metros while creating more than 75 jobs for the residents of the communities in which they operate. Since their inception, their bikes have transported more than 5 million pounds of laundry, while their eco-friendly detergents and high-efficiency wash processes have conserved more than 1 million gallons of water. Fit for your budget. Environmentally friendly. Community-oriented. 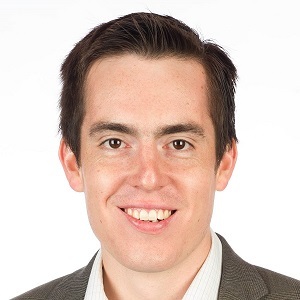 Gabriel began his career working at two non-profits—one that worked to implement a community-based economic development strategy in West Philadelphia and another that advised Mexican governments on sustainable urban development strategies. During this time, Gabriel realized two things: first, that he much preferred to work with people instead of on bricks and mortar. Second, how challenged our system for “workforce development” is. While there is a lot of talk about “job training” and “jobs created,” and while there are a lot of bright spots and inspiring examples, our society/economy haven’t shown that we’re very good at helping vulnerable adults build economic stability through career advancement. One statistic that terrified Gabriel is that a Philadelphia public high school student is over 10 times as likely to graduate than a Philadelphia TANF (“welfare”) recipient is to find a job and retain it for 6 months. Gabriel founded Wash Cycle to be the second step for people re-entering the workforce after dealing with significant hurdles, like incarceration or homelessness. There are a lot of pioneers in the field who have created great “first step” or “transitional” job placements — Wash Cycle’s goal is to build a next step, where people can find permanent employment and a route to first-ever supervision and management positions that could be a jumping off point into a more upwardly mobile career. Over 4M pounds of cargo hauled by bicycle across Philadelphia and Washington DC since Wash Cycle began using bicycles as a commercially-scalable alternative to trucks for intra-metropolitan freight. More than 50 jobs created, with over half filled by driven adults re-entering the workforce after overcoming a period of incarceration, drug addiction, homelessness, or welfare dependence. 97% of positions — including on the management team — are filled by staff who started in front-line positions. Over 4 million gallons of water saved using their high-efficiency washing machines. @bikeshopgirlcom Yes! We partner w/ laundromats in Philly & DC & lease space to conduct ops. Most of our deliveries are via bike. RT @sharrowsDC: bucking national trend of decline in bike commuting. everyone else going down, Pittsburgh and DC tick up.